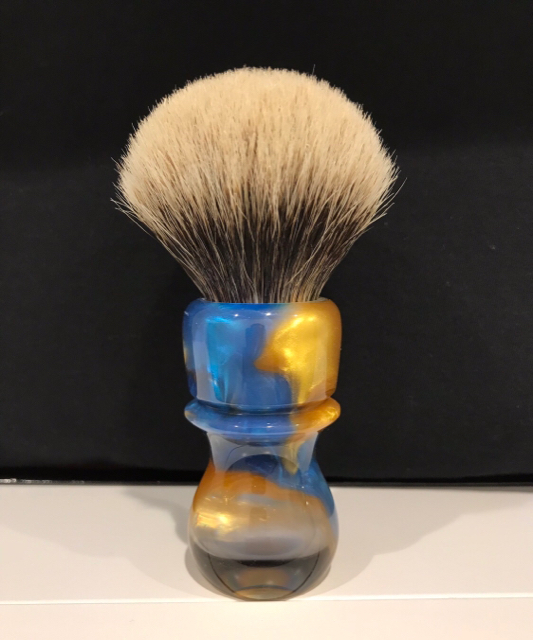 I have for sale this beautiful custom brush with a Bob Quinn Elite Razor Premium Manchurian White knot set in a custom Turn-N-Shave handle. Bob’s knots are my favorite and this one is sensational. 26x50mm. No issues at all. Only selling because I am getting more and more into wooden handles and I’m raising funds to support that silly phase of my SBAD ;-). I have $125 invested in this. Selling for $88 shipped CONUS.